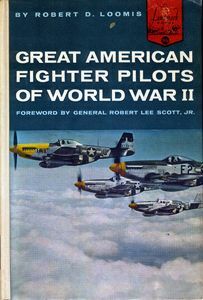 I credit much of my early interest in miltary history to the Random House Landmark Books series, which if memory can be trusted I found first on the shelves of the Fairview Branch Library (my elementary school had no library of its own). 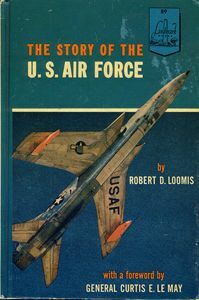 Though its full scope was much broader, the meaty and well-illustrated juvenile history series eventually included dozens of titles covering America’s wars from the Revolution through Korea.The lineup of authors included many well-known names in adult nonfiction, including John Toland, Robert Loomis, C.S. Forester, and William Shirer. Laura Fermi wrote The Story of Atomic Energy for Landmark, Pearl S. Buck penned The Story of Sun Yat-sen, and Alistair Maclean profiled Lawrence of Arabia. While some of the titles were abridgements of adult editions, even those written especially for the series largely avoided either dumbing down the subject or talking down to the 9-to-15-year-old target audience. The Landmark books are moderately collectible today, with prices driven higher by their popularity in the home-schooling movement. From 1950 through 1956, Landmark produced ten titles per year. 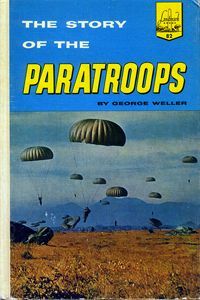 The books were published in a uniform 5-5/8 x 8-1/4 hardcover format with embossed cloth covers and dust jackets, approximately 200 pages long. 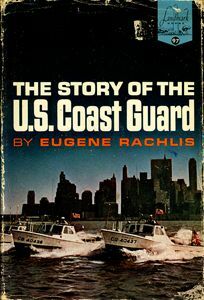 In 1963, Random House changed from the embossed cover to a four-color photo cover with no dust jacket for both new titles and reprints. 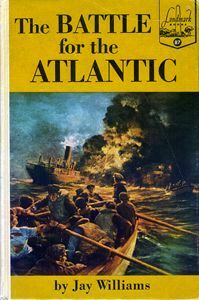 The cover price topped out at $1.95.A sister series, World Landmark Books, debuted in 1953, but did not enjoy the same success. By 1961, both series were down to four titles a year, and further cuts followed. World Landmark ended in 1968 with #63, The United Nations in War and Peace. Landmark lasted two more years, through #122, The Mysterious Voyage of Captain Kidd. The Story of D-Day: June 6, 1944 by Bruce Bliven Jr. The American Revolution by Bruce Bliven Jr. 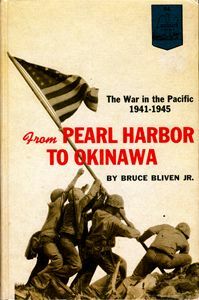 The Story of the Naval Academy by Felix Riesenberg Jr.
From Pearl Harbor To Okinawa by Bruce Bliven Jr.
From Casablanca to Berlin by Bruce Bliven, Jr.